Click here for a large-scale aerial view of the area. Click here for a map to show where the area is located in London. 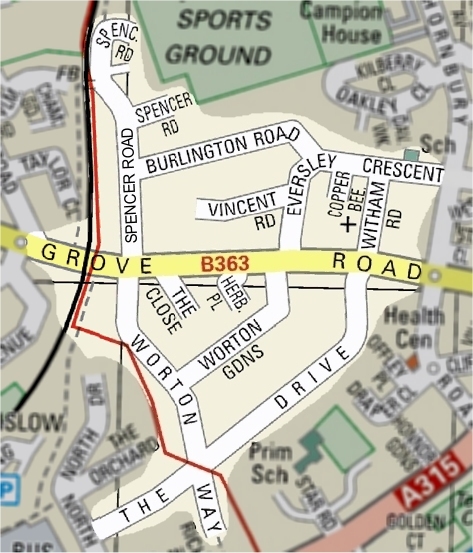 Click here for a map to show where the area is located in Britain.